I would probably be the first to admit that I'm not a great wearer of colour. Maybe it's since the sun has come out, but the idea of mixing in a brighter shade amongst the neutrals I always wear has certainly got appeal. I'm also on the lookout for a red ballet shoe; I'm not sure why the idea of this has suddenly highlighted a gap in my shoedrobe. 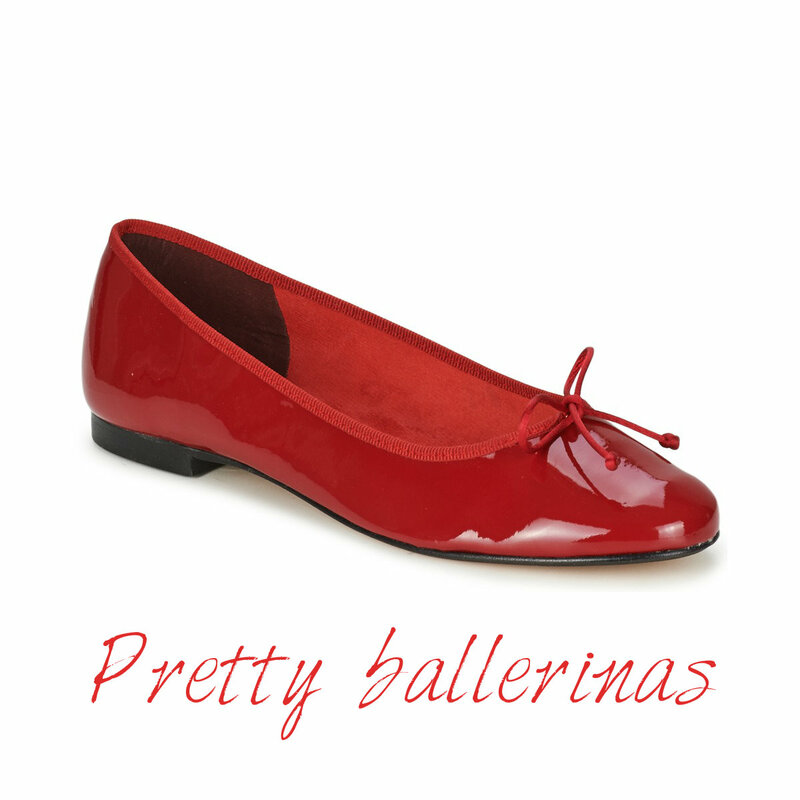 Possibly I've seen Alexa wearing red ballet flats or maybe I've been pinning them on my Pinterest too long, but I think they would be a great update to my classic black summer ballerina. I wouldn't necessarily wear these with black, either; I think they would look delightful with grey and also infuse the camel tones that I like so much with a touch of luxe, not to mention adding a little bit of smarts to summer time ripped denim. This pair is from Betty London; I've had ballet flats from this brand before and they are so well made, fit beautifully, and really do last. Additionally if a red shoe isn't your thing, this style also comes in a plethora of other colours, too. I suppose a red shoe does have the 'Wizard of Oz' connotation but I think they would be surprisingly wearable; a ballerina is one of my go-to shoe styles and, like any classic, I reach for them season upon season. I'm so glad it's almost warm enough to wear them!